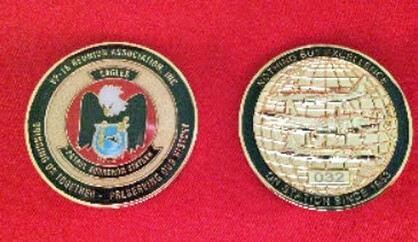 The coin, displayed above, was designed and produced for out Association with the assistance of a company that has a standing relationship with the squadron. 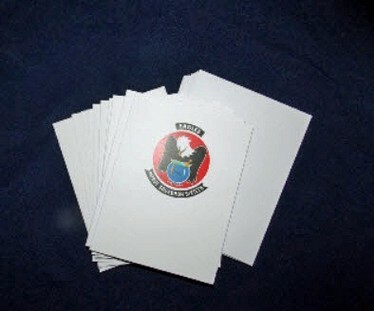 We have VP-16 logo note cards. The cards were produced for our reunion association and donated by Chenault Studios (Ellis and Carol Chenault). They are packaged in sets of ten cards and envelopes. The cost is $10.00 per packet and includes the cost of mailing.